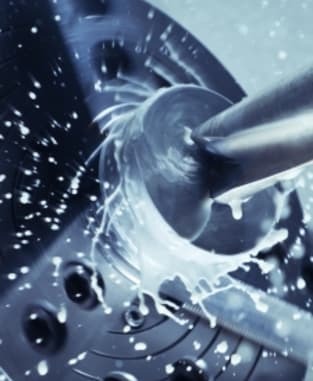 We manufacture a comprehensive range of innovative metalworking fluids, greases and oils – all designed to meet customer needs in challenging operating conditions. We provide market-leading solutions for manufacturing and service workshops, tool rooms and maintenance departments across a variety of different applications. 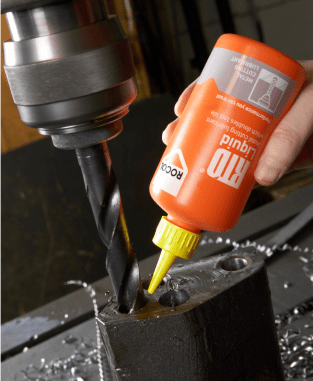 The RTD range of hand applied cutting lubricants has a unique formulation, providing superior performance across a range of ferrous and non-ferrous metals. helps to minimise these risks and allows the Precision Engineer to Cut with confidence. *Based on case histories and industry standard laboratory tests using the the Reichert Wear Test. All TRI-Logic® metalworking fluids have been carefully formulated to resist degradation in the sump. Bacteria and fungi will only survive in conditions which provide a suitable food source. Remove the food source and the likelihood of microbial growth is greatly reduced. All raw materials used in TRI-Logic® have been carefully selected for their “biological hardness” (inherent resistance to bacterial degradation). Raw materials which provide a potential food source for bacteria have been eliminated or minimised. 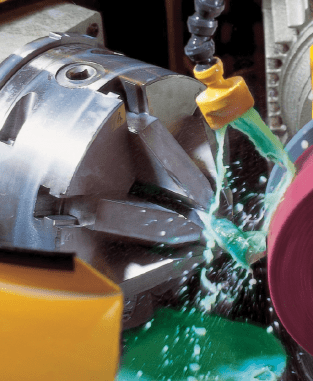 In addition, TRI-Logic® cutting fluids contain highly effective anti-microbial additives which maximise resistance to bacterial and fungal degradation. 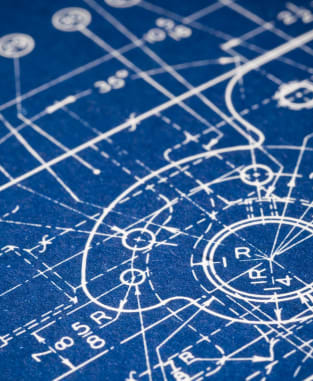 As well as cutting fluids ROCOL develops and manufactures solutions that reach right across the engineering industry. From glass production to welding, plastic injection moulding to hot metal forging – we’ve got you covered. 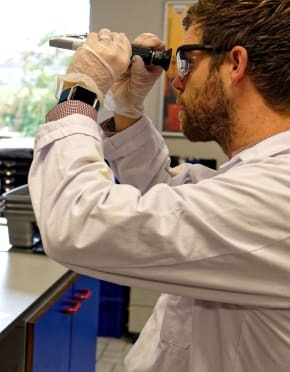 Our chemists work with engineers in the field to ensure we’re creating products that meet the demanding needs of engineers industry wide. 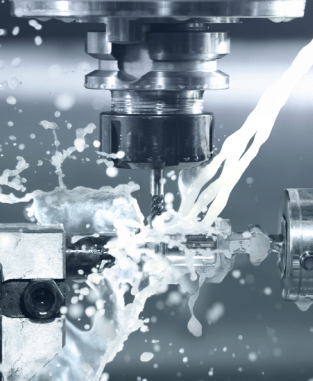 The V-cut™ range of cutting fluids, hydraulic oil and slideway lubricant is designed to be used in combination and deliver in any machine shop environment. Using the latest additive technology means V-cut is engineered to give maximum value to users whilst never compromising on performance. Technology that is suitable for a wide range of metalworking operations including; turning, milling, grinding and drilling etc. 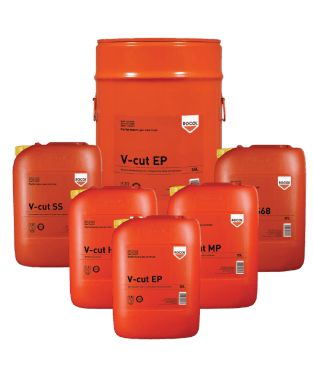 Products that are suitable for ferrous and non-ferrous materials and with smaller pack sizes available…V-cut is the complete range for small to medium sized machine shops. Solutions that have been designed with the safety of the user in mind; safe and pleasant to use, with minimal hazards. 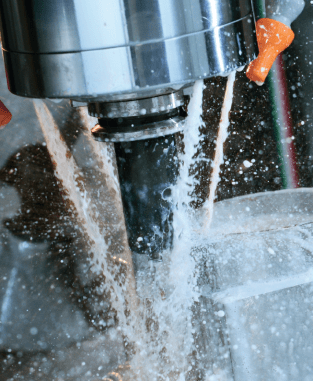 The ULTRACUT range of water-mix cutting fluids has been developed to provide optimum cutting performance, including products for all metal removal operations. ULTRAGRIND™ is a range of synthetic grinding fluids, containing technically advanced corrosion inhibitors, wetting agents and lubricity additives. The premium care package for the supply and management of ROCOL cutting fluids. The Ultracare® service is our commitment to ROCOL customers, ensuring optimum performance of cutting fluids at all times.